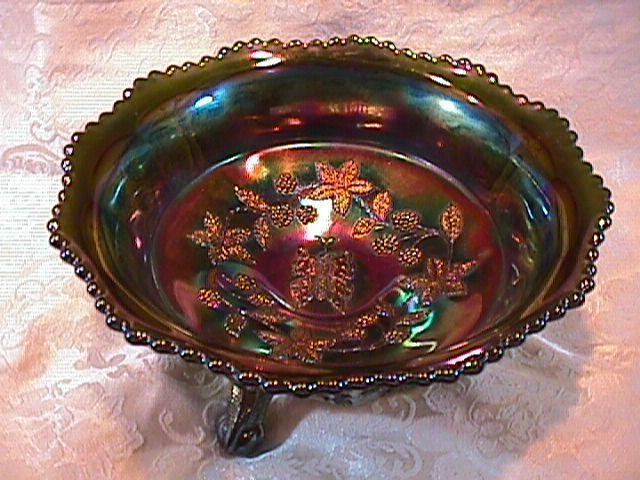 This Butterfly & Berry master berry bowl is on the rare green base glass. 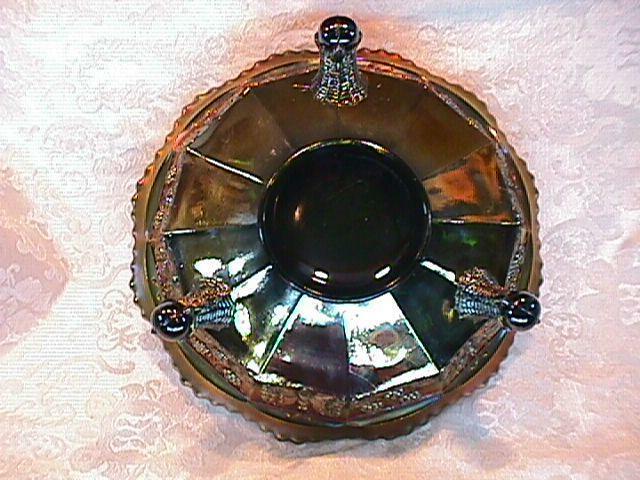 It is 9 1/2" long by 3 3/4" wide, very attractive on it's dark green base glassd. 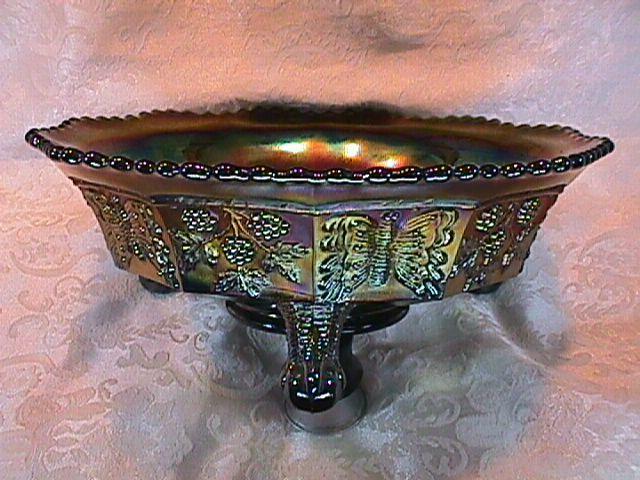 It is made by Fenton. It is in perfect condition. The shipping and insurance is $20.00. Send questions to: questions@donsreplacementsltd.com or call anytime: 1-618-372-4888. Thanks for looking. REF # C-40.